Hi everyone. I am thrilled to be designing for Paper Wings Productions. What’s your most-used art tool? Please stop by everyone's blog today and check out the amazing projects we've created. Today, I'm using the Butterfly Panel Clear Stamp Set. I stamped the image twice on white cardstock. Because the design is encased in a rectangle, I wanted to cut one of the images to fit inside the other for a slight 3 dimensional look. I colored the top image entirely using ColorBox Smooch Accent Inks and then just colored the portions of the design that were outside the rectangle on the bottom layer. 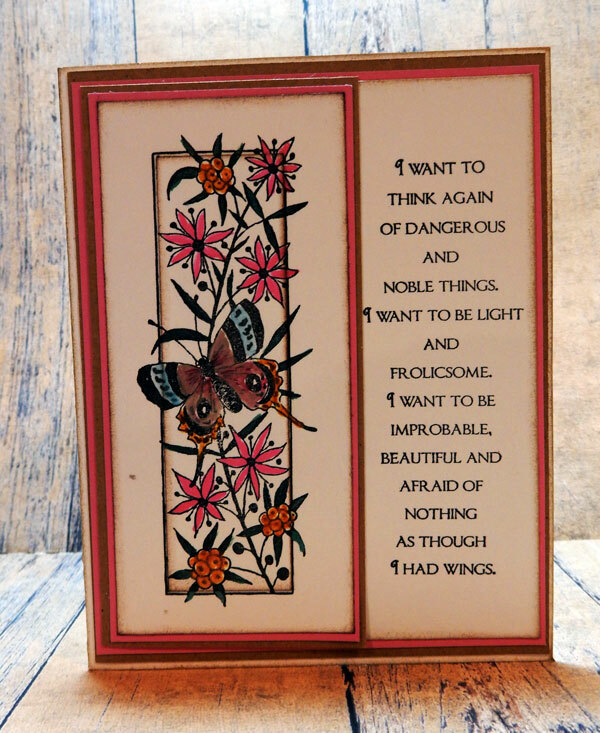 The coordinating sentiment from the Butterfly Panel Clear Stamp Set was stamped on white cardstock, then the colored imaged was place beside it. I created layers of color with cardstock to coordinate with the stamped and colored image, then I've assembled them onto a card base. Here's the blog list. Please stop by my teammates' blogs and see what they've created today. 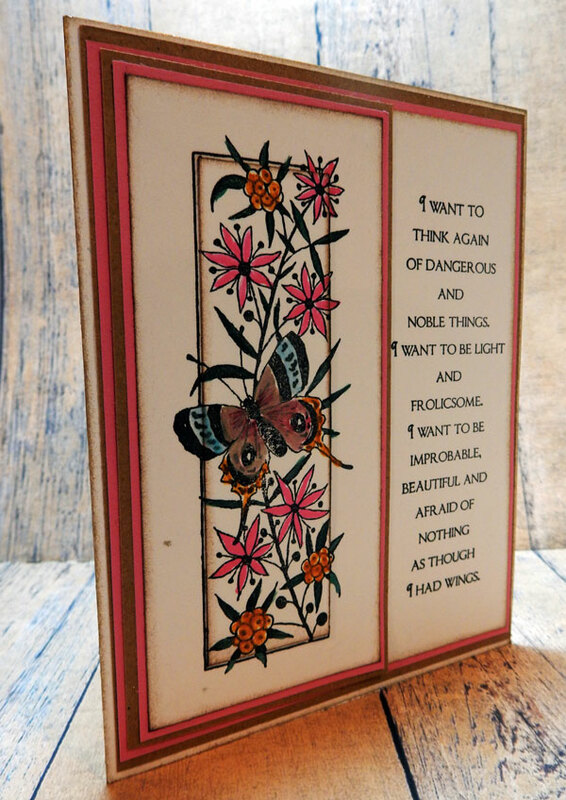 Lovely card Steph , beautifully colored flowers and butterflies. This is so pretty! Congrats! Beautiful card, Steph. I had a hard time figuring out videos. It took a lot of trial and error, but it is worth learning! Thanks for your post! I love all the colors and the sentiment! I just became a new follower. Hi Steph! Beautiful card, I love the three dimensional effect you added.